Established in the late 1970s, Central Animal Hospital has been serving the St. Petersburg and greater Tampa Bay community for more than 40 years. In 1979, Mark Brown began working at Central Animal Hospital as an animal caregiver in the kennel. He soon worked his way up to veterinary technician. In 1981, Mark Brown left Central Animal Hospital to pursue his undergraduate education and his doctor of veterinary medicine degree at Auburn University. Dr. Brown returned to Central Animal Hospital in 1990 as an associate veterinarian. After eight years as an associate, Dr. Brown assumed ownership on June 1, 1998. 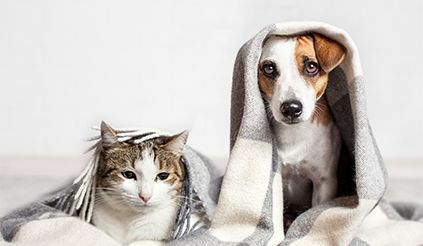 Dr. Brown and his staff are committed to promoting and providing the very best possible health care for pets, educating the community on responsible pet care and enhancing the human-animal bond. To be an animal hospital leader that provides exemplary animal healthcare with a high degree of integrity, sensitivity, and innovation in an enjoyable, friendly environment; and to meet the needs of the local community while exceeding the expectations of our clients and positively contributing to the wellbeing of all animals under our care. Central Animal Hospital is an ACCREDITED HOSPITAL MEMBER of the American Animal Hospital Association (AAHA). To achieve this distinction, we voluntarily participated in a comprehensive evaluation by AAHA. The evaluation includes a quality assessment review of a hospital's facility, medical equipment, practice methods, and pet health care management. Only 15 percent of all small animal veterinary facilities in the United States are accredited hospital members of AAHA. 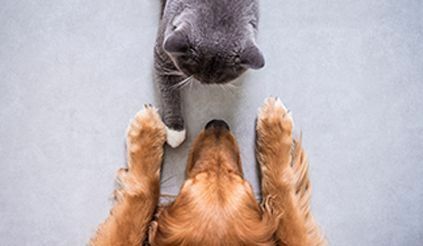 Click here to visit AAHA's website, HealthyPet.com. While you're there, be sure to check out their Pet Care Library.